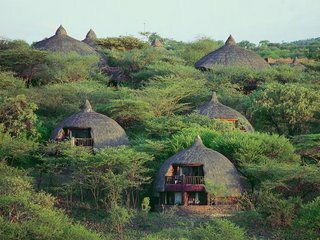 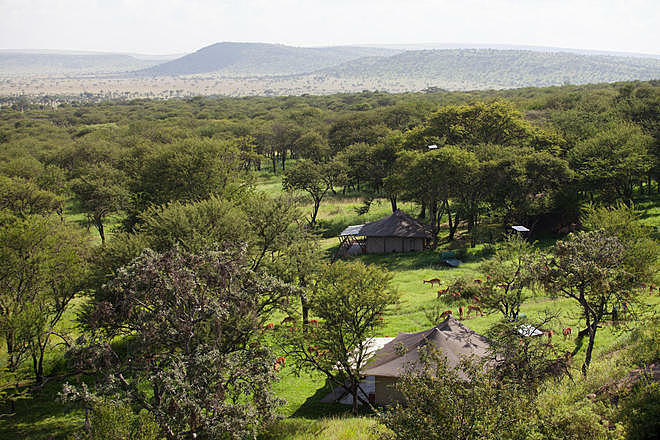 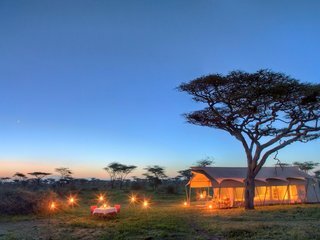 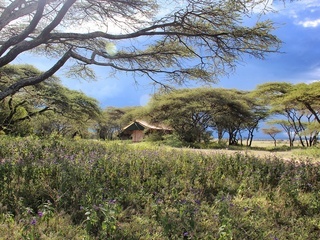 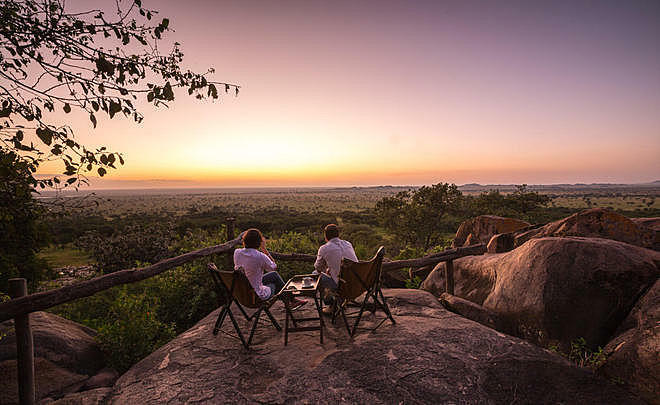 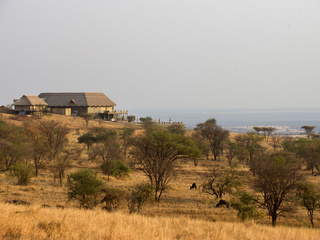 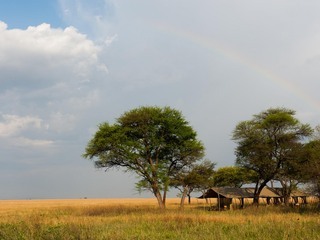 Serengeti Pioneer camp is a smart, tented camp perched on a slope in the Moru Kopjes area of the central Serengeti National Park, Tanzania, with superb views across acacia woodland and the open plains. 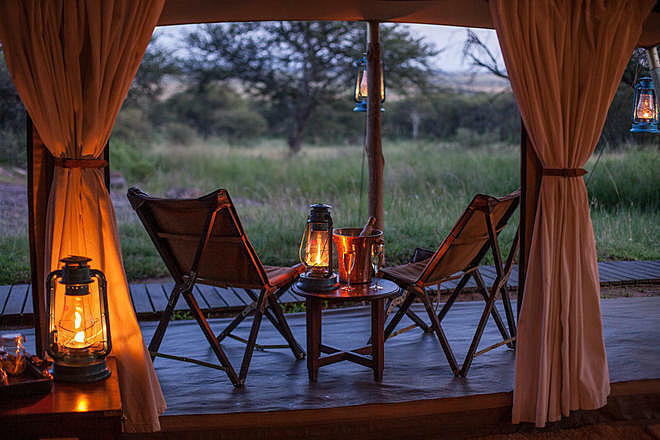 The camp offers solid year-round ‘Big 5’ game viewing with incredible predator sightings, particularly in July-October, when the densities of lion and cheetah are among the highest in Africa. 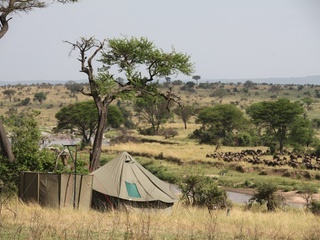 The Great Wildebeest and Zebra Migration passes through in April-May and November-December, providing an amazing spectacle. 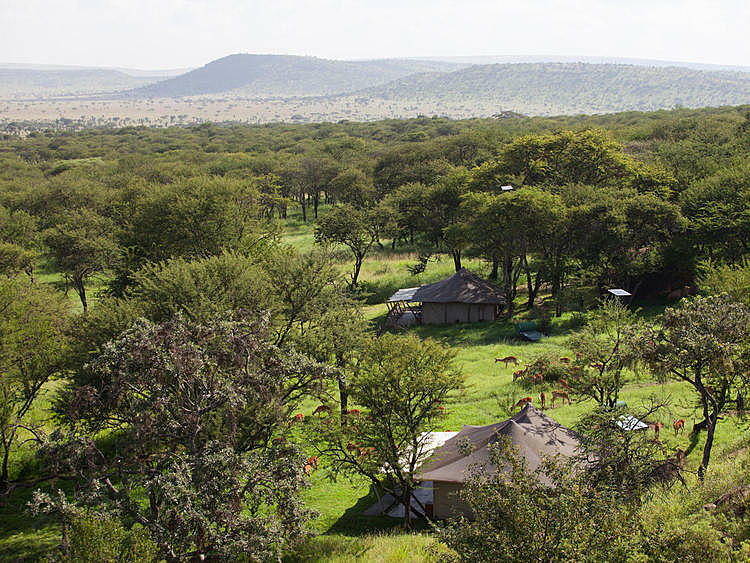 With such superb wildlife on tap, this area can inevitably become busy; however, the camp’s relatively secluded location offers guests some welcome peace and relaxation amidst a busy safari schedule. 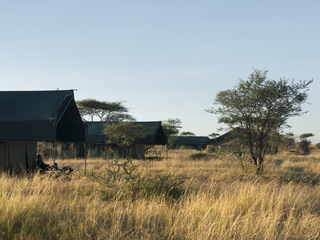 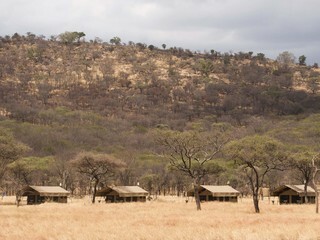 The camp can be accessed via the Seronera airstrip, although most guests arrive by road, often in their own private safari vehicles. 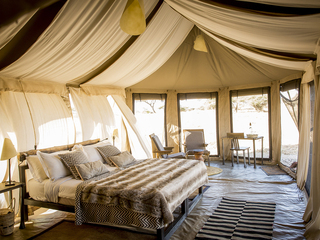 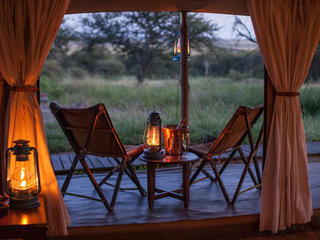 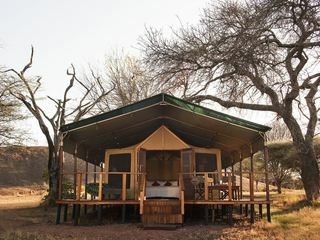 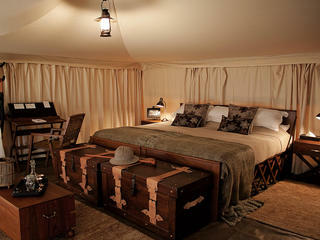 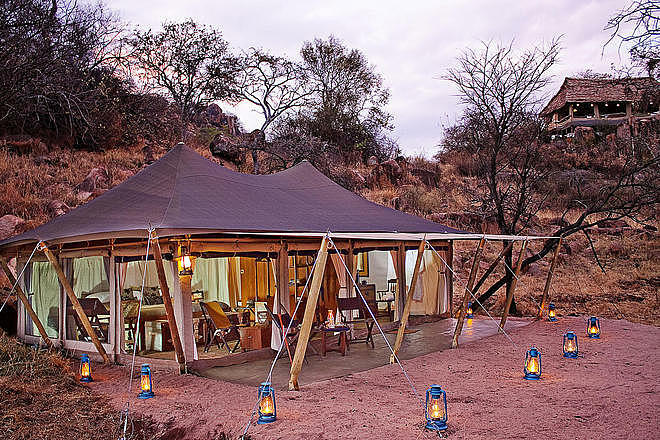 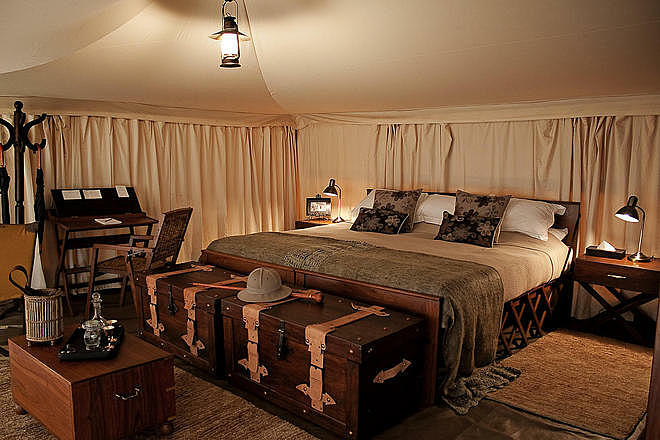 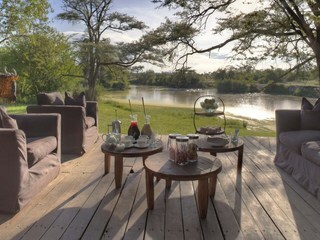 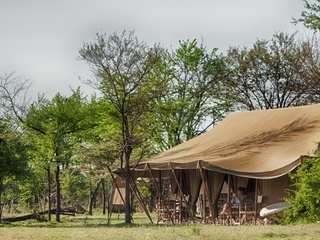 Belonging to the Elewana Portfolio, the camp has a luxurious feel. 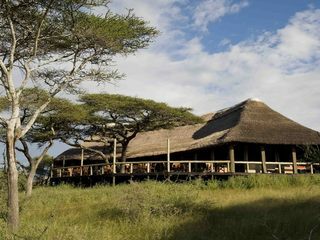 There is a makuti thatched lounge with stunning views and an attractive dining tent, although meals are often served outdoors in the bush. WiFi is available in the lounge and there is a central charging point for devices. 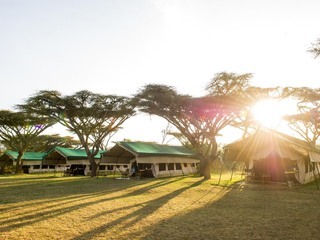 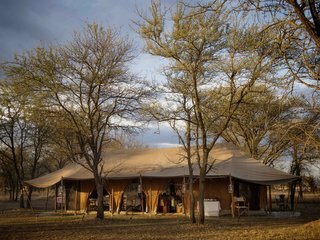 The accommodation is well set-out over a gradual incline and comprises 12 safari tents with quirky design features inspired by the early explorers’ mobile camps of the 1930s. 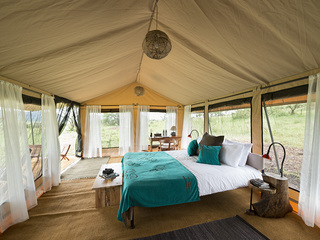 Each tent can be arranged as a double or twin and has an en-suite bathroom with attractive copper basin, flush toilet, and hot solar-heated period-style shower. 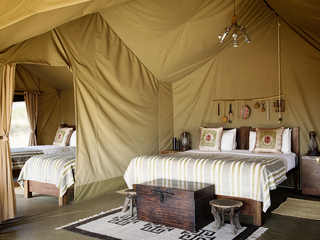 There is one very spacious family tent with a double en-suite tented room and a twin en-suite room adjoined by a lounge area. 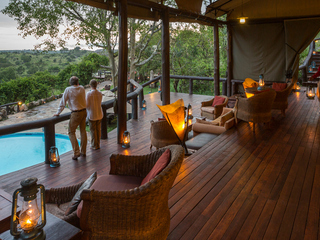 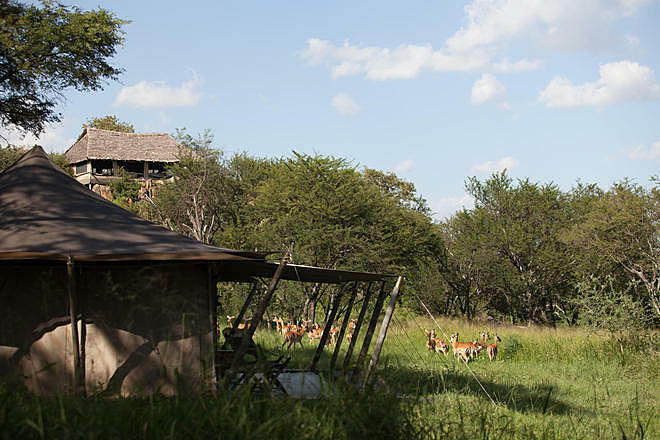 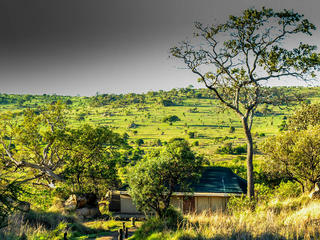 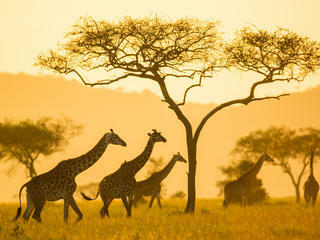 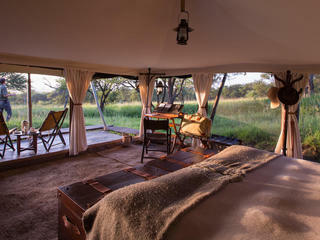 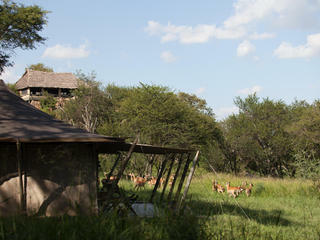 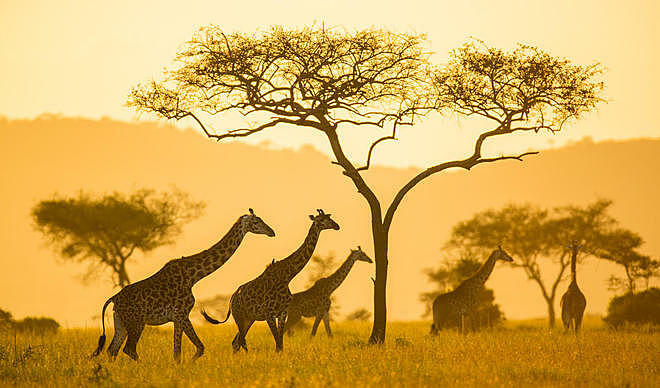 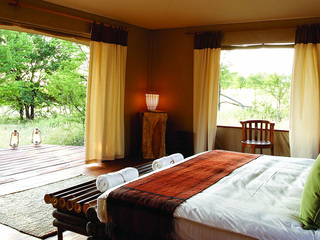 The camp’s activities are naturally centred on superb game-drives. 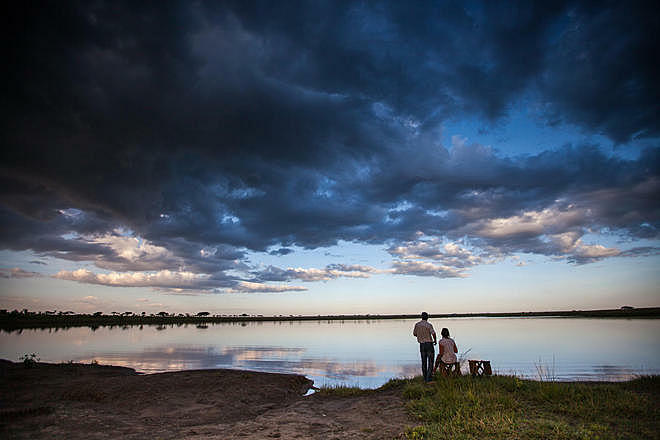 The beautiful Lake Magadi is an accessible drive from the camp and is home to thousands of pink flamingo (seasonal) and a year-round plethora of bird species. 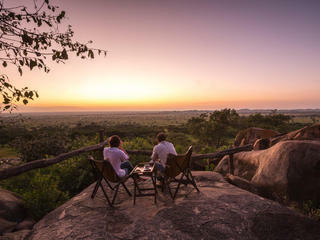 The Moru Kopjes, a rocky outcrop with great historical significance to the Maasai people, featuring ancient Maasai paintings on many of the boulders, are also well worth a visit. 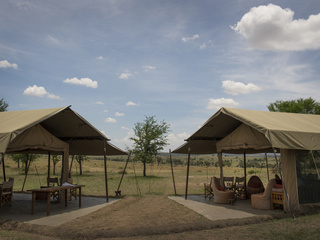 Children of all ages are welcome and there is no charge for those under the age of 12 sharing with an adult. 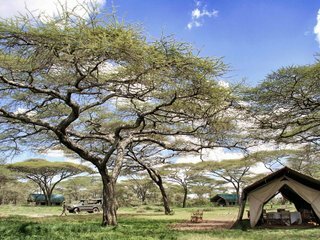 Note that the camp is unfenced and animals are free to wander through. 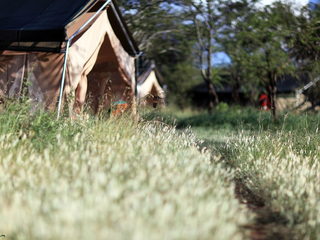 While it’s unlikely that animals will approach tents or people, children must remain under parental supervision at all times. 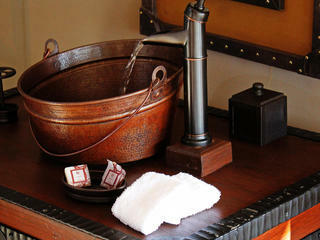 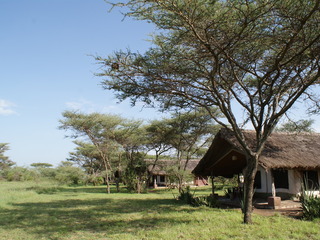 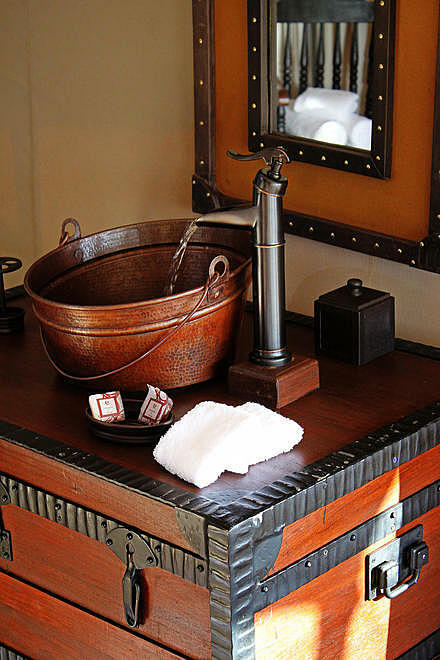 Serengeti Pioneer Camp is a pleasant-sized property with an authentic charm reminiscent of the pioneer days. 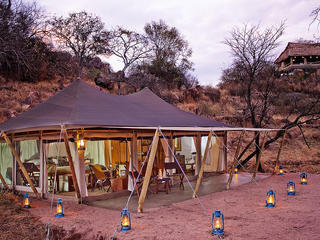 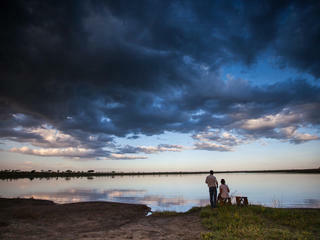 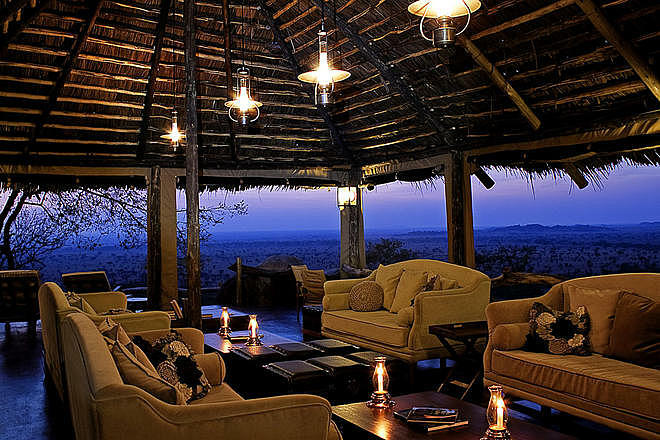 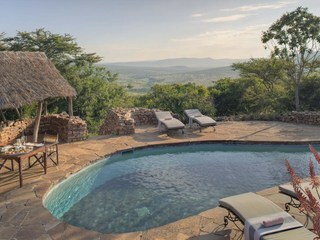 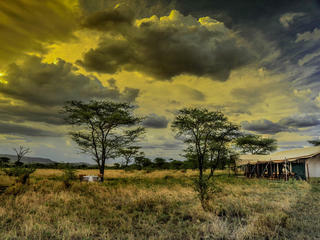 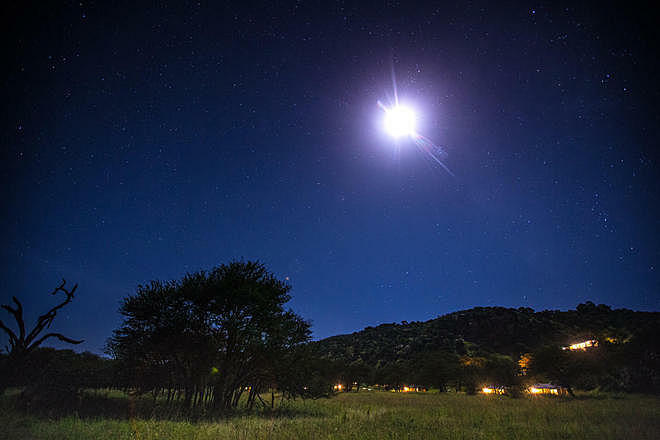 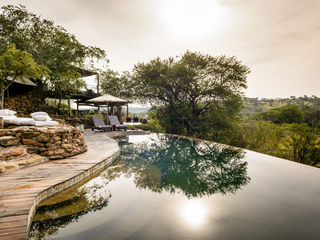 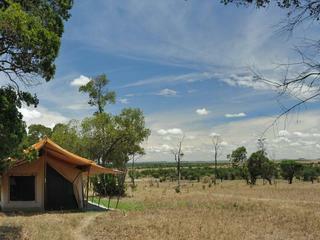 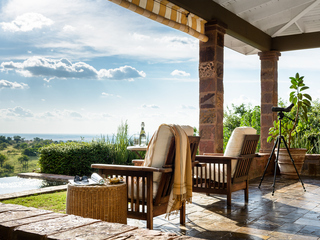 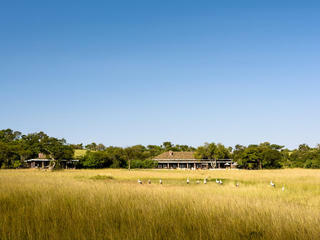 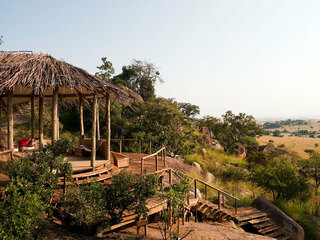 It is well positioned on the quieter outskirts of a hugely popular game-viewing area. 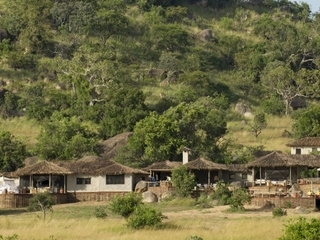 Comfortable accommodation, good service and a rich abundance of wildlife make for a wonderful stay.